It's the cycle of life for DevOps. Learn the most essential parts here. Before going to know the lifecycle of DevOps, let us first discuss to need for DevOps. What is DevOps? Why DevOps culture is implemented in companies? 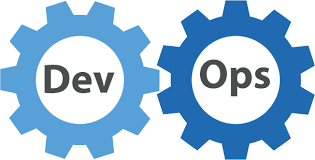 Devops is basically a combination of two words, "development" and "operations." Usually, DevOps is a culture that follows the set of practices to combine the DevOps and IT operation teams. Its major goal is to shorten the system delivery life cycles. This culture increases the organization's speed to deliver the applications and services. Devops is applied for the large distributed platform such as e-commerce sites (or) application on a cloud platform. The DevOps life cycle comprises of different stages. Let me explain them to you in detail. Code: Code the application as per the client requirement. with the plan, you have made in the initial step. Build: Build the application by performing the integration of various codes you have done in the previous step. Test: This is the heart of the application. Test the application that you have built so far. And the rebuilt the application if necessary. Releases: If you succeed in the Test phase, then its time to release the application into Live. Deploy: Deploy the code into a cloud environment for further usage. It is performed in such a manner any changes made should not affect the functioning of high traffic website. Operate: Perform the operation on the code if any have. Monitor: Monitor the performance of the application as per the client requirement. Keep a note on the performance of the application. Make modifications if any to satisfy the clients. And if does not reach up to the mark make changes in that particular area to satisfy the client. And in this way, the lifecycle of the DevOps goes on. And in the current IT industry, this DevOps platform has a high demand in the IT market. In the year 2019, Devops Certification has a high demand in the IT market. And today through Devops Online Training , we can easily get certified on DevOps. Because on the top of DevOps we do have several tools which have a demand in the IT market.